As the world’s best tennis players make their way to our shores to compete in the Australian Open and its lead-up events, I can’t help but wonder why I’m still disappointed when it comes to women’s tennis. It’s not because I object to the shrieking, or think that women’s matches are any less entertaining or impressive than men’s matches. The female players are in every way as awe-inspiring as their male counterparts. My beef is with the length of women’s matches in Grand Slam events such as the Australian Open. Why aren’t women playing five sets? I like nothing better than to settle into my armchair in anticipation of seeing a high-quality match between elite athletes and feel completely deprived seeing a match end after only two sets. 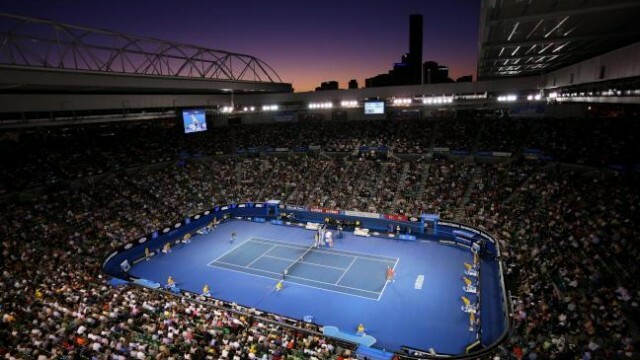 There have been some riveting five-setters at the Australian Open in recent years, particularly between Federer, Nadal and Djokovic. Isn’t it time to see the same sort of epic battles between Williams, Sharapova and Kvitova? In the interests of sporting equality, men and women have been receiving equal prize money at the Australian Open since 2001, but this doesn’t seem fair given that women aren’t required to play as much tennis. Tennis is one of the few sports played by women that we embrace and follow, at least in January each year. Outside of the Olympic and Commonwealth games, we’re not accustomed to seeing female athletes on our screens in prime time. How many of us could name the national women’s rugby league team (the Jillaroos), let alone describe their tremendous victory over New Zealand to win the 2013 Rugby League World Cup? While we shake our heads over a dismal performance against Pakistan by their well-paid male counterparts, the Australian female cricket team continues to reign as world champions, having secured the world T20 championship this year for the third time. Unfortunately, most of the Southern Stars have to hold down jobs to sustain their “semi-professional” athlete status. This is why tennis is so refreshing. Unlike many sports played by women, the top female tennis players are household names. Their matches can sell just as many tickets as the top men’s matches. They’re paid comparable amounts in Grand Slams and many receive lucrative sponsorship deals, so they are not struggling like other professional athletes. Playing five-set matches may be the final leap into true equality in Grand Slam tennis. There is a precedent for a five-set match. From 1984 to 1998, the WTA Finals was a best-of-five tournament, before reverting back to best-of-three. Imagine the outcry if the marathon event in the Olympics was reduced to 25km for women! Tennis players are great role models. They embody the notions of hard work and total commitment, and in a time when childhood obesity is becoming alarmingly common (Ed’s note – did you read Tom Caru’s article on TBS yesterday? If not TAKE A READ), we need great athletic role models like never before. I believe the top players would relish the thought of more time on court. Serena Williams was quoted in a New York Daily News article in 2013 that she and other female players are “willing and ready” to play five sets. So, come January 2015, when the winner of the Australian Open women’s draw pockets her $3 million, we should all be asking why we’ve been ripped off. This inequality needs to end before another generation of girls grows up believing women don’t have the strength or stamina to last on court as long as men do, or that women’s matches serve only as a support act for the main (male) event. Come on Grand Slam officials – let’s make tennis the trailblazer for women’s sport and heed the call for true equality. Katherine Quinn is a freelance journalist, editor, cycling enthusiast and tennis tragic. When not at her desk she'll be on the beach or in the bush. Katharine, I don’t think you have mentioned the logistical difficulties for tournament organisers. If Grand Slam tournaments went to 5 sets for women as well as men, we would either need more courts (most venues already have as many as they can fit in), or start earlier each day (ask the organisers why they don’t), or finish later each day (hell, some matches already go past midnight), or a 2-week tournament would take 2 and a half weeks (and mess up an already crowded calendar), or accept fewer entries (that would be a shame, as it would deny up and coming players a chance, and besides, 128 is a neat power of two, whereas (e.g.) 96 would involve half the field getting a first-round bye. Equality is a great aim, but it ain’t going to happen until tournament organisers and governing bodies think up some way to deal with the quite considerable logistical difficulties.